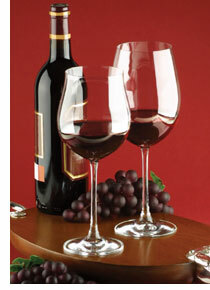 This website on wine is designed as a practical guide for the consumer. We will also be looking at wine from an early 20th century perspective, and not confuse you with the jargon of the experts and specialists. My goal is to give the visitor such knowledge as is necessary for him to buy wisely, to store safely, to serve correctly, and to drink with greatest enjoyment. It is not, of course, possible to cover anything like adequately the whole winefield. Attention must be chiefly directed to giving a workaday acquaintance with the representative wines of the ordinary market enough to stimulate the would-be connoisseur to pursue his own researches. Hopefully the information on this website sets up the amateur with a little knowledge on which he can build more, to warn him off snags and superstitions, and give him a few practical hints for the better preservation and enjoyment of his purchases. I am, of course, aware that there are many merchants in all trades who like to keep their particular trade a mystery. I cannot agree with them. The more the consumer knows about wine the better appreciation he will be likely to have of it. It is not as if it were an unpleasant subject. Wine is a gracious, a kindly, even a noble commodity. A world without wine would be unthinkable. The bounty of nature and the accumulated skill of man are poured out in the making of wine. You will find praise of it in the Bible and most of the poets, from Homer to Chesterton not always the wisest praise. It has played a long part in history not always entirely creditable. But that is life, and does not dismay a man. of late it has given " more power to the elbow "
Connoisseurship, the appreciation of wine for its savour, does much to kill the drinking of wine merely for its effect. No hard drinker can be a true connoisseur. Excess kills the palate.